16 graceful, straightforward short stories explore the ways in which love ends. By Alix Ohlin. Vintage, $15. 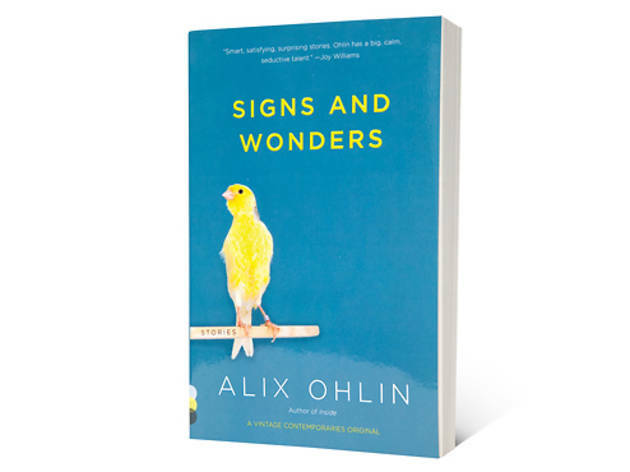 The characters that inhabit Alix Ohlin’s second collection of short stories find that love, no matter the vintage or degree, can simply end. Whether they move from solitude to companionship or in the opposite direction, these people discover that changing their situation provides a new clarity. Along with this understanding come the compromises and sense of helplessness expected when one changes one’s life. In these 16 tales, the author (whose new novel, Inside, is out from Knopf this month) covers topics including divorce, infidelity and accidental murder. In the title story, a couple’s amicable parting is postponed by an accident that makes the wife realize her love for her husband is bound up with her everyday familiarity with him. In “Who Do You Love,” a short affair between college acquaintances shows how youthful passion can lead to adult weariness. Though Ohlin sometimes nudges the reader toward the bigger meaning behind the stories, she employs a graceful, straightforward tone and resists the urge to stuff every paragraph with literary artifice; this allows the reader to welcome the stories’ epiphanies without suspicion or eye rolls. Upon starting a new job, one of the characters admits, “The real me was someplace else.” This quote is the essence of Signs and Wonders: It gives a point-blank assessment of how lost one can feel, while implying that the authentic version of who one was or will become is always out there.